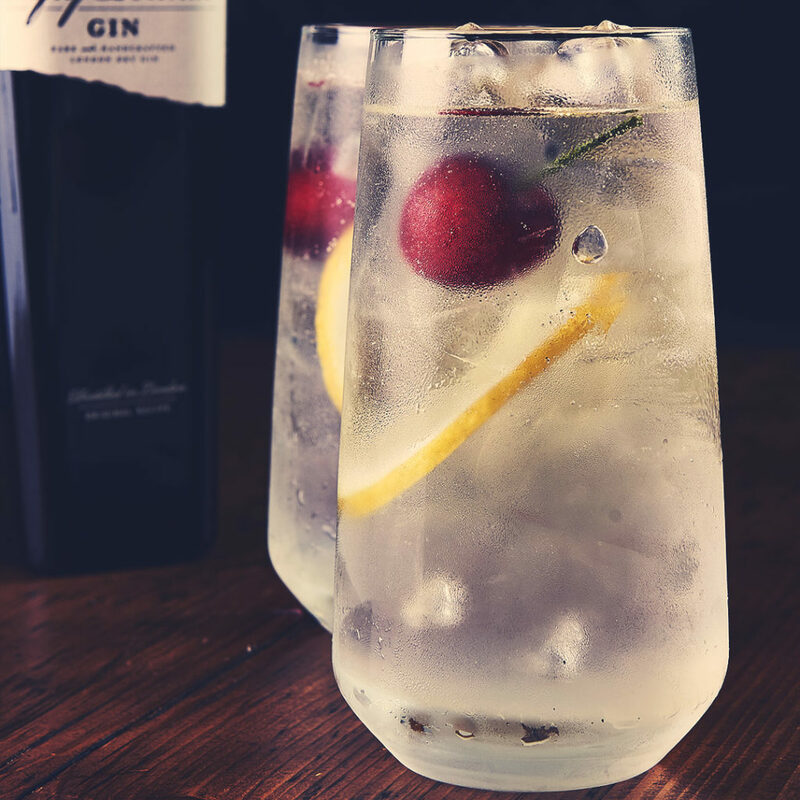 Saying that though… while we’d never advocate gin as one of your five a day, or as being the healthy alternative to water – there are laws against that sort of thing plus, you know, we’d be lying – having the occasional gin-based drink isn’t a reason to beat yourself up for falling off the diet wagon. We’re not even going to quote the Latvian study that suggests that juniper can up your metabolic rate because, well, that seems a little too good to be true. But, the fact remains that, a shot of gin is around the 90-100 calorie mark. Compare that to a cocktail like a Mojito – or anything involving sugar syrup, a splash of Coke or other overly sweet mixers – where the calorie content is touching 300 per drink, and you’re already ahead of the game. That, of course, is for a straight up shot, which is probably not the greatest way forward. But, look at it another way: that does mean you could have a couple of Gimlets or Martinis and not have deviated massively from any diet you’ve imposed upon yourself. 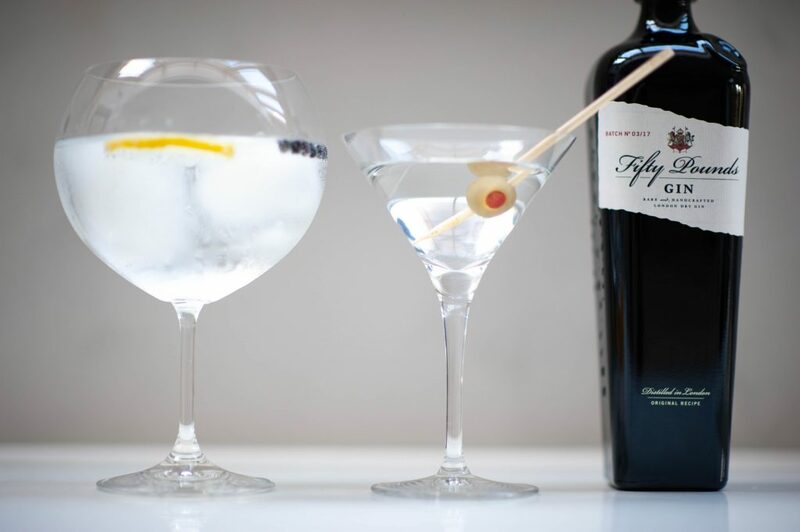 And if you want to talk “clean” drinks, then in the case of Fifty Pounds, the spirit has been distilled four times for our trademark smoothness, which makes it a pretty pure experience as far as alcoholic beverages are concerned. Add a tonic and you’re going to roughly double the calorie content. You’re still probably beating the cocktail drinker’s intake, but you can improve upon that. If the aforementioned Gimlet and Martini don’t appeal, switching out to diet tonic will improve the calorie count dramatically. You can also add something that’s genuinely a “five a day” item as garnish. Cucumber is increasingly popular, or perhaps an orange wedge instead of the classic lemon/lime slice? Pink grapefruit segments also work well and here’s a tip: they freeze brilliantly, so can double as garnish AND an ice cube. Alternatively, gin and soda? Or gin and a splash of juice? Again beware the sugar content but a little hint of light cranberry juice or orange juice might make it a little more palatable and lengthen the experience. The same applies to low-calorie lemonades, of course, and we’d probably plump for the traditional/cloudy varieties just for that extra lemony kick. One of the big downfalls of drinking while dieting is the snacking. If you feel the munchies developing, try and ignore the crisps, and head for the olives. If you must have nuts, perhaps go for a small handful of almonds rather than the big bag of dry roasted: you can always argue they have a good GI figure. Check out the baked crisp options too.